NEW YORK -- BMW North America is returning to the Super Bowl after a 10-year hiatus, as the car maker enters one of the busiest periods of new model and product launches in its history. According to the auto manufacturer -- which globally operates out of Germany but has U.S. headquarters in Woodcliff Lake, N.J. -- between 2010 and 2011, over 60 percent of its total inventory will be new vehicles. "We're in the window of our biggest launch period in history and the Super Bowl gives us the stage to make that big impact," said Stacy Morris, marketing communications manager at BMW. Among those launches are the new BMW 6 Series coupe and convertible models, the 5 Series sedan, the 2011 X3 sports utility vehicle, and the much-discussed ActiveE, BMW's electric car that bows next summer. Morris declined to reveal details about the media buy, such as the number of spots purchased and the length of them. But she did note that the agency tasked to create the Super Bowl work will be MDC Partners' Kirshenbaum Bond Senecal & Partners. 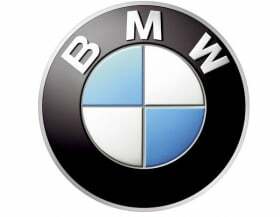 The agency referred calls to BMW. The selection of that agency suggests BMW could be plotting to use the game, the biggest advertising event on TV, to introduce consumers to its electric vehicle. KBS&P -- which has been on the BMW roster via its digital arm, Dotglu -- is understood to have been appointed with handling the launch of the ActiveE. BMW's media-planning and buying agency is Interpublic Group of Cos.' Universal McCann. BMW is slated to split with its lead global creative agency, Omnicom Group's GSD&M Idea City in Austin, effective Dec. 31 of this year. The agency recently initiated a breakup with BMW after a five-year run. The car maker has said it doesn't currently intend to replace Idea City's role, but will work instead with its current roster, which in addition to KBS&P and Universal McCann includes WPP's Grey. That BMW is electing to return to the Super Bowl after 10 years is a sign that it's committing to heavily reinvesting in advertising ahead of its string of new car launches. In 2009, the automaker devoted $138 million to domestic measured media, and it's on track to surpass that this year, having spent $83 million in the first six months of 2010 alone.